The 2017 ARBC Show being in its third year of operation saw a record number of competitors and supporters alike travel from as far south as Victoria, NSW as well as many of our home grown Queenslanders travelling to come compete with some of the best horse and rider combinations in the country. We also had many log in to watch this prestigious event from around the world via our live webcast supplied by Neil Jones. This years ARBC judges were Jason Wordsworth and Darren Simpson. 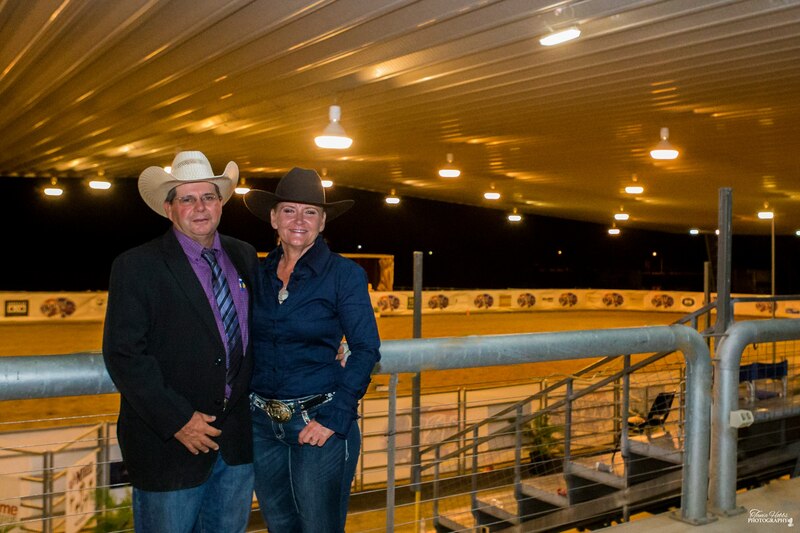 The ARBC Show is growing in size and popularity, with competition held over four days with in excess of 300 runs being held in the reining pen. Our 2017 ARBC judges were Jason Wordsworth and Darren Simpson. The Feature event at our Australian Reining Breeders Classic is the Derby Event held on the last day of our four day show. The ARBC Derby both Open and Non Pro Event including 6 divisions saw a total of 28 horse and rider combinations competing for the coveted title of ARBC OPEN DERBY CHAMPION and ARBC NON PRO DERBY CHAMPION. This is now one of the largest Derby Events in Australia so a huge thank you to all our sponsors and competitors alike for supporting this ARBC Event. The 2017 Thomas Arena Products OPEN Derby Champion is Condor Smart Play ridden by Warren Backhouse, owned by Jason Melling (from NZ) Congratulations to all connections with this horse, he won the prestigious event with a top score of 146.5. Congratulations goes to the ARBC OPEN Derby Intermediate and Limited Divisions Champion, VIOLA PETIT PAS ridden by Yves Cousinard with a winning score of 140.5. The Southern Cross Saddlery NON Pro Division of the ARBC Derby was well represented and the 2017 ARBC Non Pro Champion was Gottagetagunner ridden by Cameron Halliwell on a score of 141. This years NP Derby Champion also took home a Southern Cross Trophy Saddle and Rick Meredith Trophy Bridle along with a a beautiful garland by Bec from Team Laurie Equine. This year we added in OPEN and NON PRO Maturity Class for 4 year old horses competing at the ARBC and it was well represented in the showpen. The Xtreme Genes NON PRO Maturity Champion Wimpys Little Terminator owned and ridden by Cameron Halliwell won with a score of 141. Congratulations on winning the first ARBC NON PRO Maturity Cameron and making the trek up from Victoria to compete at this years ARBC. Congratulations to Thomas Arena Products ARBC Classic Challenge Champion Nathan Wilson riding Blondies Ace. Congratulations to Rural Weekly Open Challenge Champion Ken May riding Rosies Lethal Return. 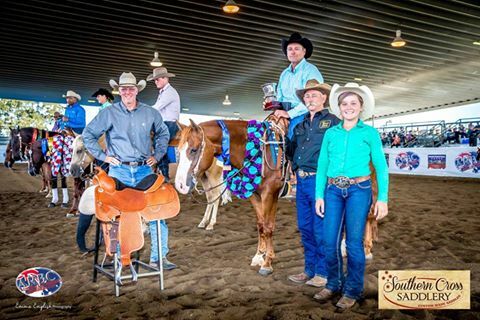 Congratulations to Kingsley Custom Saddles Rookie Challenge Champion Peter Morris riding Sinful Destiny. Thank you to Dan Kingsley saddle maker from Kingsley Custom Saddles for sponsoring this class & donating the beautiful trophy saddle.